There are few things that smell more heavenly than granola baking in your oven. 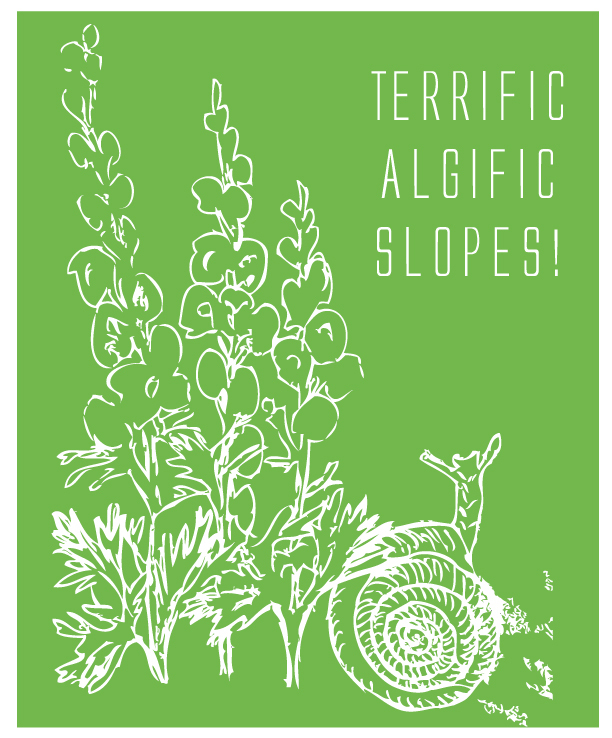 We had the fun experience of having a surplus of real maple syrup in the pantry, which acted as the catalyst for developing this recipe. 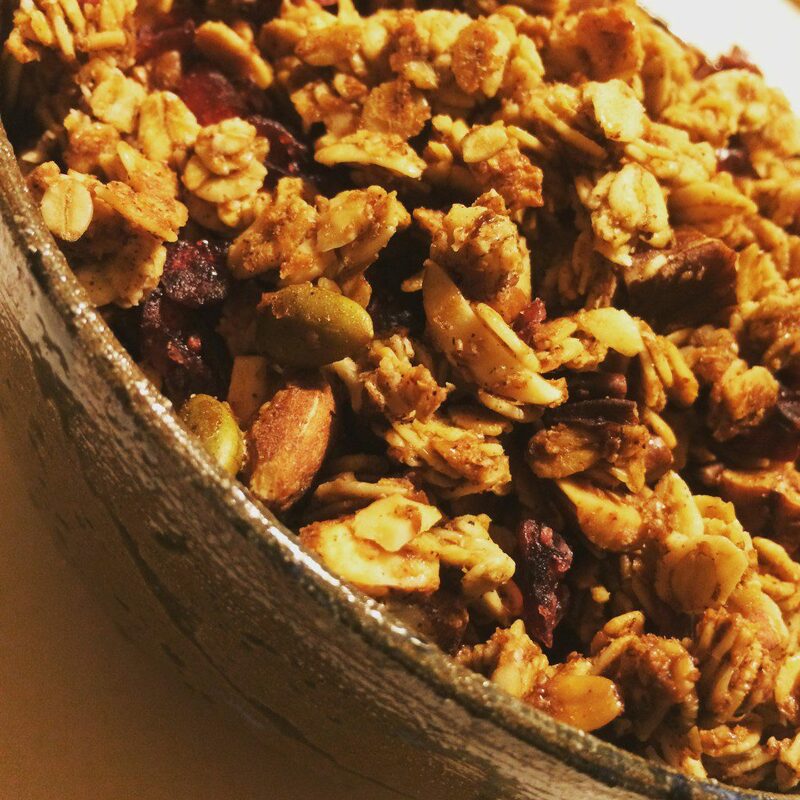 Whether you’re snacking away, packing on the go, or topping your favorite yogurt or ice cream snack – this is an easy, fun, relatively healthy granola recipe that you can tweak to the liking of your friends and family. Mix all dry ingredients together, set aside. Combine all wet ingredients. The egg white is optional and acts as a binder that will allow the granola to have more clusters in final form. If you choose to add the egg white, make sure that the coconut oil is not too warm (to avoid cooking the egg white). Pour wet ingredients into dry ingredients and stir until dry ingredients are evenly coated. 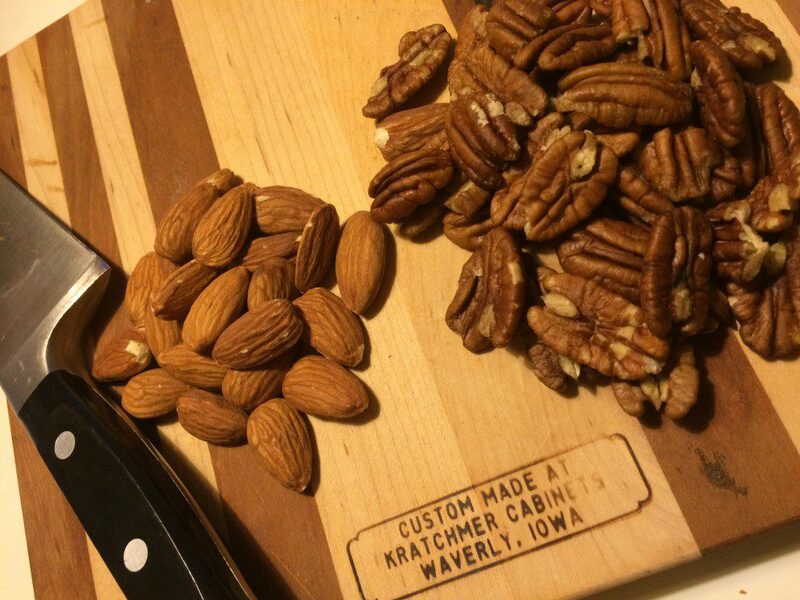 Spread out onto either lightly oiled, parchment, or (our favorite) silicone sheet (Silpat) covered baking sheet. 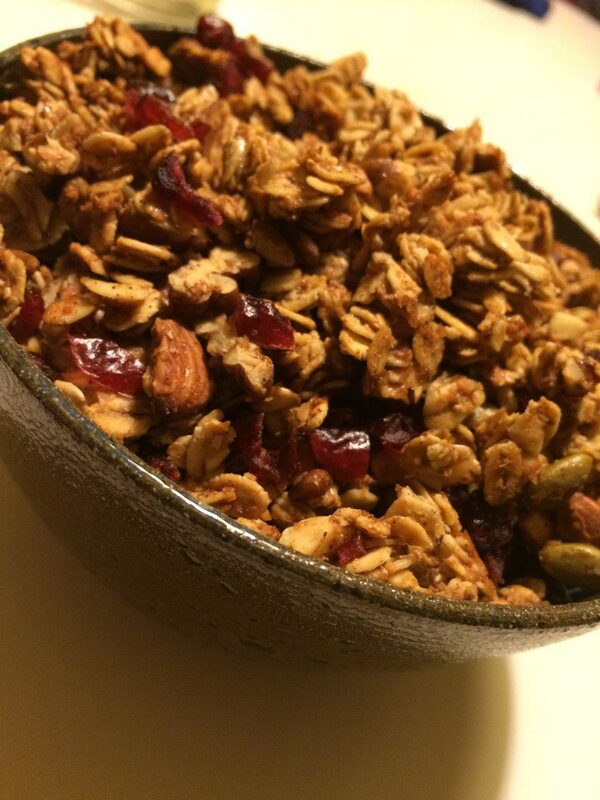 Bake 325 degrees for 30 minutes, stir/turn the granola with spatula, bake an additional 20 minutes and let cool. 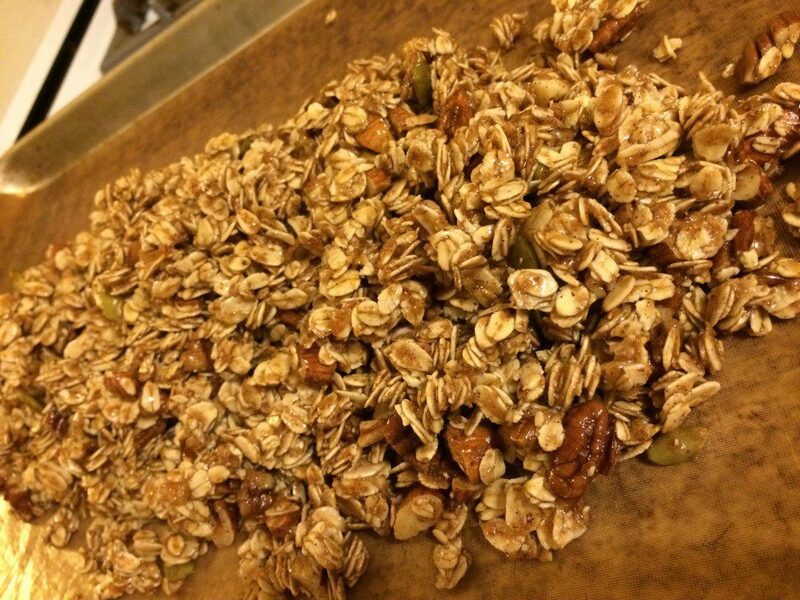 Granola will not get crisp until it cools. 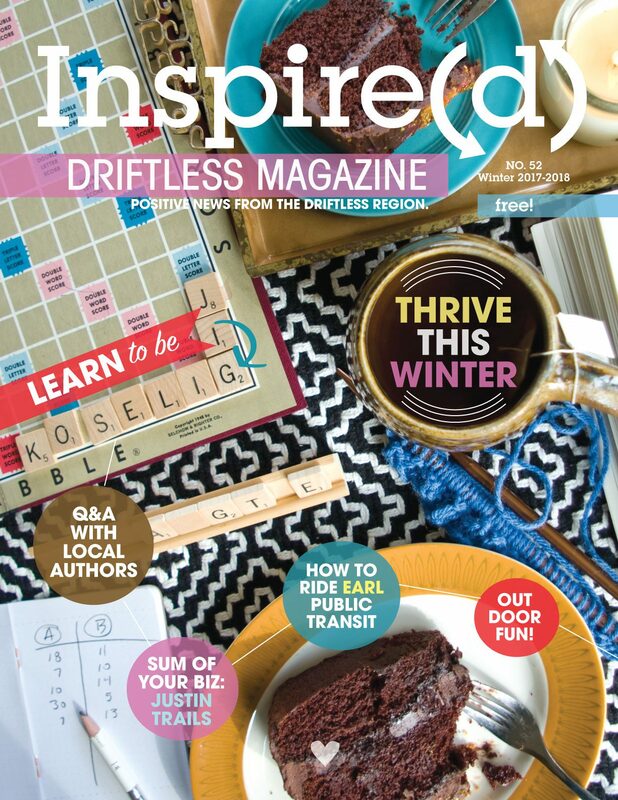 Read the Winter 2017-18 Inspire(d) Online!